The “Be, Know, Do” (BKD) model of leader development is used by the U.S. Army but has also gained some measure of popularity in Christian leader development. According to the Army, leaders lead others by their character, by their competence, and by their actions; therefore, effective leader development must focus on the leader’s character and values (“Be”), his competencies (“Know”), and his decisions and actions (“Do”). While this holistic model is far superior to a purely academic approach, it also has significant limitations – especially when used in distinctly Christian leader development. Neglects the centrality of the Person of Jesus Christ in Christian leadership. Promotes a western individualistic perspective, dealing with the leader purely as an individual, rather than as a part of a larger community. In the third place, the BKD model does not give sufficient attention to vision. Vision is central to leadership. The very essence of leadership is movement: the leader helps people move from where they are to a better place in the purposes of God. Thus, Christian leadership is not merely taking care of people, but it involves helping God’s people grow, serve, build others, impact the world around them and fulfill God’s purposes. A true calling comes from God. Then it becomes the leader’s own vision, something he can share passionately with others. Without Divine initiation, however, man’s vision is mere human ambition. 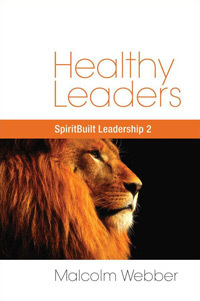 A healthy vision must come originally from Christ and be received in the integrity of the leader’s heart. Left to himself, man’s vision will often contain a mixture. He might have a genuine calling from God, but there will often be much of himself mixed in with it too. This is one reason why God allows us (like Joseph and Moses) to go through sufferings – to purify our hearts from mixture (1 Pet. 1:6-7). In addition, the calling must be submitted to community. It is only as the leader is genuinely accountable to his community and allows them to help mold and clarify his calling that he is assured of purity of vision. Thus, the calling of the leader must be birthed in Christ, purified in community and built upon fire-tested character. This is a healthy vision in the heart and ministry of a healthy Christian leader. Consequently, it is not sufficient for vision to be a mere sub-point in the leader development process; it must be well-built in an emerging leader’s life. Today, many churches are limited by leaders who do not have a clear vision from God. Such leaders may be able to preach nice sermons on biblically-related subjects but they are not equipped to actually lead their flocks into effectively impacting a complex and fast-changing world around them. If the church is to grow to maturity in Christ, we need leaders of clear and godly vision. The building of this vision must be a central part of our leader development processes. Thank you so much for this wonderful tool of Leadership Model. I have been involved in the ministry of Training and Equipping Indigenous leaders , pastors and church planters, so I feel this materials are very handy and helpful. Thanks for sending,please keep sending. I do pray and believe that any leader follows these models would definitely be on the right track and be an effective , fruitful and successful leaders.